The products for the described manufacturing processes, typically contain large amounts of air in their girth, and are prevented from bouncing which could cause a reduction performance. 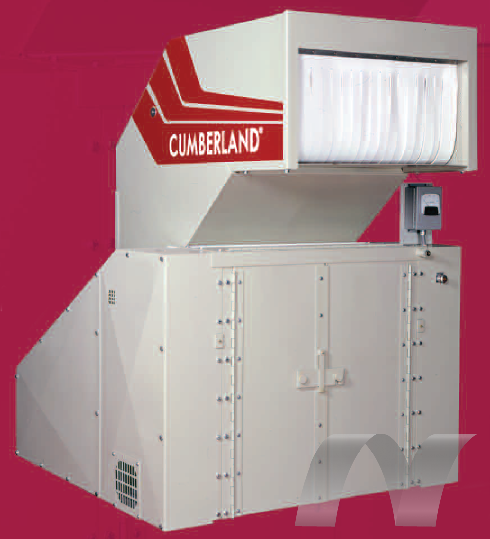 With hoppers configured for hand feeding of materials, but which are also easily converted to conveyor and airborne transfer of product, these versatile units are a mainstay in the Cumberland line. Tangential cutting chamber minimizes part bouncing and optimizes material processing. Dual flywheels increasing cutting torque during granulation. 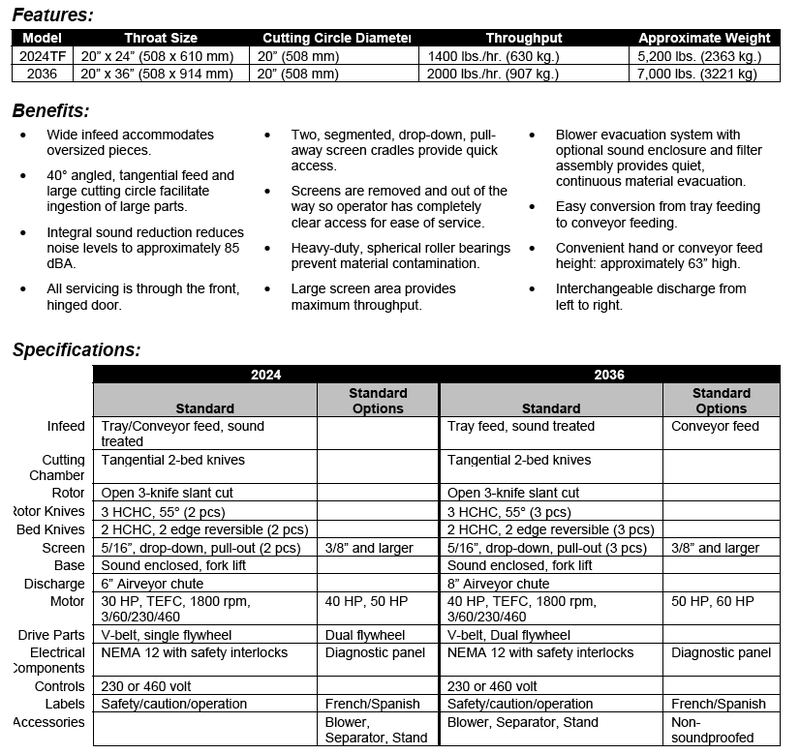 3 knife high shear as standard.